Mary Peveto called herself an accidental activist, when she began the work to reduce toxic air pollution in her NW Portland neighborhood. When the mother of three discovered the poisonous emissions around her children’s school that a national report had ranked among the worst 2% in the nation, she also uncovered Portland’s dirty secret: that a city touted as one of the greenest in the nation and a leader in 21st century sustainability, had failed to clean up the toxic air pollution from the previous century of industrialization. This omission left a legacy of air-borne poisons like heavy metals, benzene, acrolein and the ultra-fine particulates emitted from dirty diesel engines, that actually made the Portland Metro Region’s air some of the deadliest in the country. There was nothing obvious in Peveto’s history as a former athletic marketing exec turned stay-at-home mom, that would have prepared her to emerge as a leader of an environmental campaign or to successfully run a non-profit organization with the capacity to address this complex problem. But Peveto also acknowledges there is nothing accidental about a mother fighting to protect her children. This drive to protect her children became linked with protecting all children. 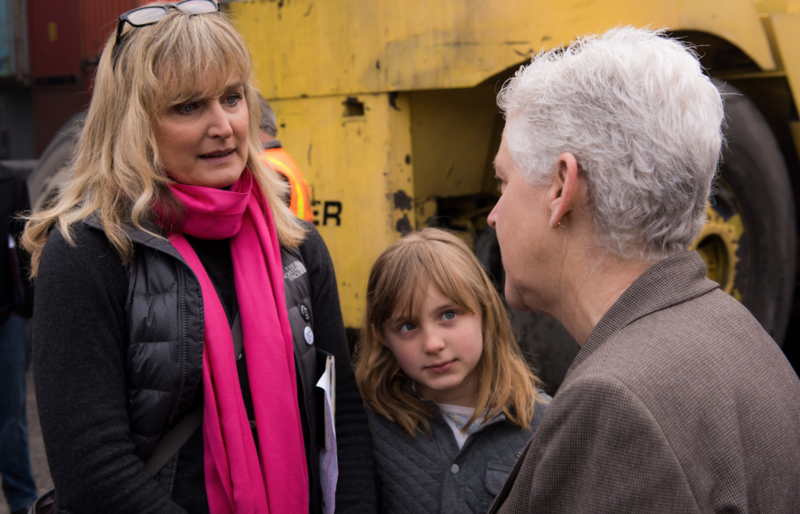 Nearly ten years later, and after the initial success in securing a $5Million clean up at her neighborhood polluter, Peveto has finally seen the beginnings of the systemic change she believed was necessary to begin to really clean up Portland’s air: Governor Brown’s Cleaner Air Oregon initiative that establishes health based standards for all air permits in the state, and the state legislature passing a funding bill in 2018 that represented the biggest increased investment in Oregon Department of Environmental Quality in over two decades. We have all seen what makes an activist: a compelling why, and that moment when the political gets deeply personal. We have witnessed this time and time again, and no more than in today’s craziness that is our current state of politics and governance. Across the country, from the Women’s Marchers, to #MeToo, to Parkland, Florida, to hundreds of campaigns for elected office in towns across America, individuals – many women – are rising up and grabbing this opportunity to turn their personal experiences into a force for public good. But, what makes them successful? Compelling motivation and why can be the fuel, but not necessarily the engine of efficacy. At the risk of defying all current best practices for activism, politics and business, this is why Peveto insists that the Why has to be accompanied by a strong What. And it’s the latter that can make or break a successful advocacy campaign.